While it might feel like the dog days of winter will never end, things are heating up in Fort Collins and Loveland. Soon enough, you’ll be sick with spring fever—and after that, you’ll think you actually have a fever as you deal with the sweltering summer heat. While you may never be fully prepared for the heat of the summer, your home should be. Here are a few ways to keep your home cool and refreshing, even when temperatures start to rise. Take a look at your AC. Bless your AC—it’s the hero of summer, preventing you from becoming a hot, sweaty, and irritable mess. There’s nothing more satisfying than coming home on a hot summer day, flipping on your AC unit, and turning your home into a walk-in refrigerator. But in order to achieve this state of icy bliss, you need your air conditioner to be in proper working shape. If your AC hasn’t had a tune-up in awhile, it will have to work harder to produce the chilly air you’re looking for. You’ll start to turn down the temperature on your unit, and in turn, your energy bill will skyrocket. 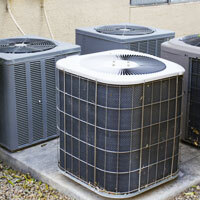 To keep your air temperature and energy bills low, hire an AC professional to give your unit a tune-up. 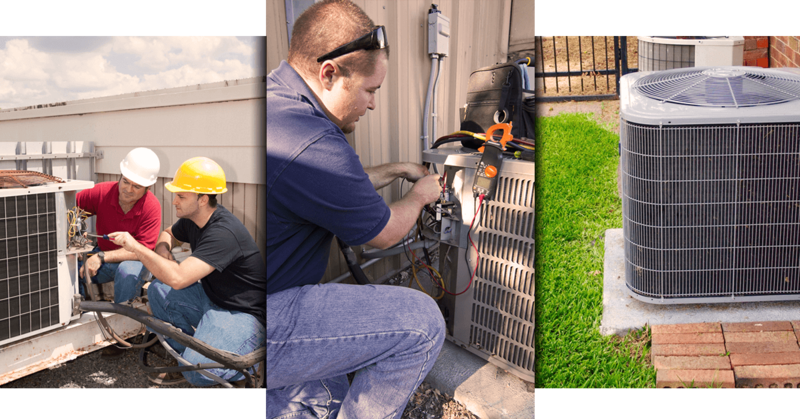 They’ll dissect your AC unit, diagnosing any efficiency issues and making sure everything is properly connected, located, and lubricated. It’s better to book this tune-up sooner rather than later so you’re a step ahead of the summer heat. Even if your AC unit is in tip-top condition, some of its precious, arctic air could be escaping from your home through cracks, crevices, and crannies in your air duct system and your home’s structural elements. To fix this problem and increase your home’s energy efficiency, take a trip around your home and look for open spaces and cracks around doors, windows, and outbound pipes and ducts. By making your home as airtight as possible, you’ll be keeping all that cool air inside, allowing you keep your AC unit at a reasonable temperature setting even on the hottest of days. Plus, sealing breaches in your home’s interior will help you deal with the creepy crawlies as well. The summer season is bug season, so by sealing up gaps in your home, you’re keeping all of those spiders, roaches, and ants outside where they belong. You probably didn’t realize that ceiling fans were meant to be rotated, and that’s okay! Ace Hi is always here to help. When it comes to ceiling fans, you want your fan to rotate clockwise in the winter to evenly distribute air across your home, and counterclockwise in the summer (at a higher velocity) to create a cool, ocean-like breeze. Most standard ceiling fans have a switch on the bottom that changes the direction of your fan (easy, right?) so you can always have optimal airflow to keep yourself comfortable. While Colorado is subject to toasty summer temperatures in the daytime, things usually cool off a bit at night. Take advantage of this cool weather by popping open a few windows and turning off your AC unit. Cool, fresh air will slowly leach into your home, and in the morning, your AC won’t have to work as hard to keep things cool. Plus, you’ll save a load of money on your energy bill. Call the experts at Ace Hi! 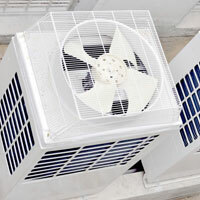 For any of your air conditioning service or maintenance needs, you can trust the professionals at Ace Hi. We service Larimer and Weld County, helping residents of Fort Collins, Loveland, Greeley, and the surrounding areas prep their homes for Colorado’s warm and sunny summers. Contact us today for all of your AC needs!